Froach is the combination of “fried” and “poach”. It may sound like a silly word but trust us, a froach egg cooked using a Froach Pod is so good, it may be the only way you will eat your eggs once you have tasted it. It has a perfectly runny and delicious yoke like a perfectly poached egg. It has perfectly cooked whites. It uses 95% less oil than a typical fried egg which makes it a healthy alternative to fried eggs. Anyone who has tried to poach an egg will know that how difficult it is to cook this deceivingly simple dish. Basically all you need is an egg and a pot of hot water. But cooking a perfectly poached egg is a challenge to even a very experienced chef. 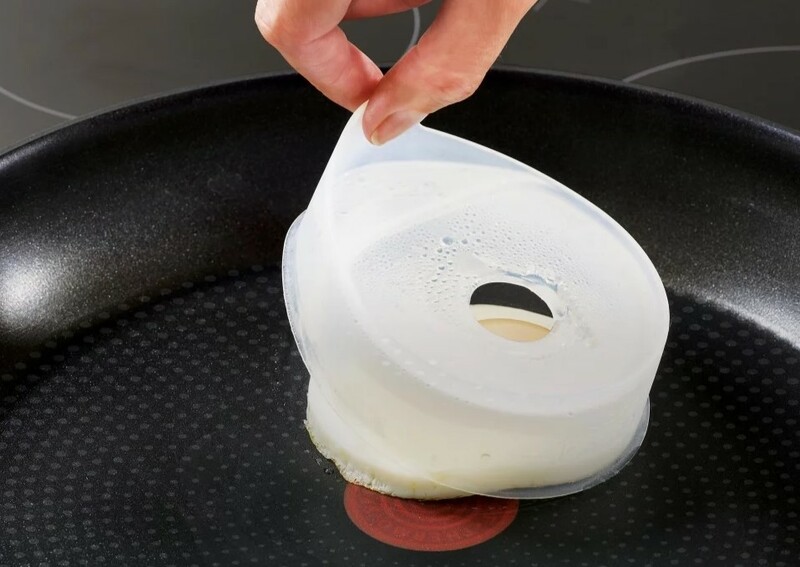 The Froach Pod silicone ring is a new product from our favorite kitchenware designers, Joseph Joseph. They cleverly combined the principles of both frying and poaching an egg. So what you get is a cooking method that has almost the simplicity of frying an egg but produces an egg that has the texture and taste that mimics a poached egg. The Froach Pod is a rather brilliant but simple design. The silicone ring is like a tabbed cover with a hole at the top. 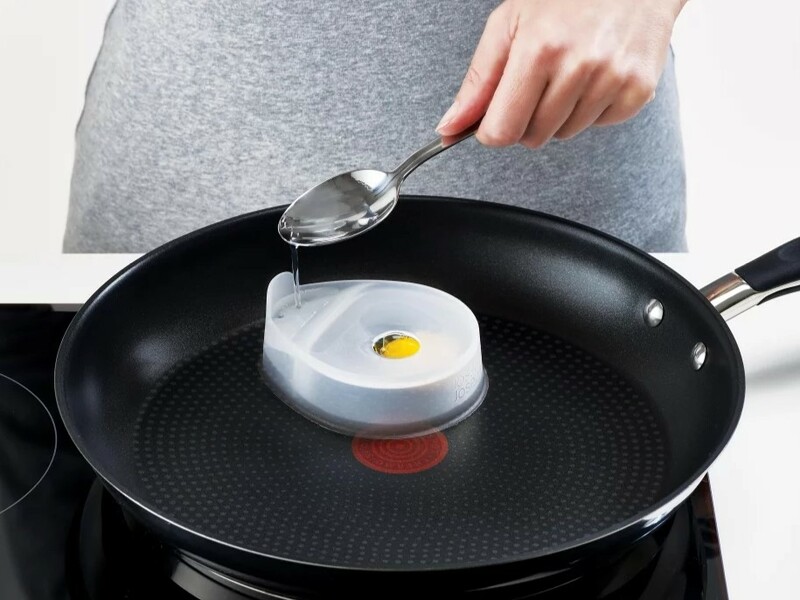 To cook a froach egg, just wipe a little oil around the bottom edges of the ring to prevent the egg from sticking to the pod. This is the only oil that you will need for cooking. Next, you crack an egg over the pod and let it flow through the hole and into the pod. At the same time, you add a teaspoon of water into the small reservoir at the side of the pod. The water boils and heated steam flows over and cooks the top of the egg while the heat from the bottom of the pan. The result is perfectly cooked whites and a yoke that is firm on the outside, but still runny inside. 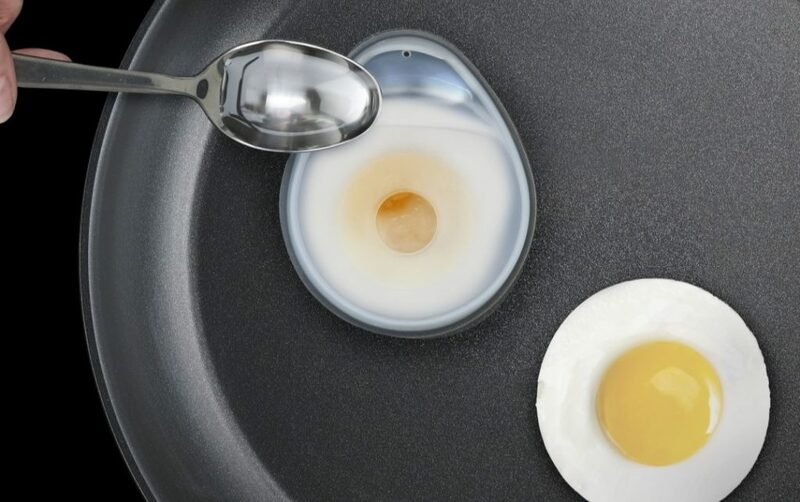 If you love poached eggs, you will love how easy it is to make similarly tasting eggs using the Froach Pod. 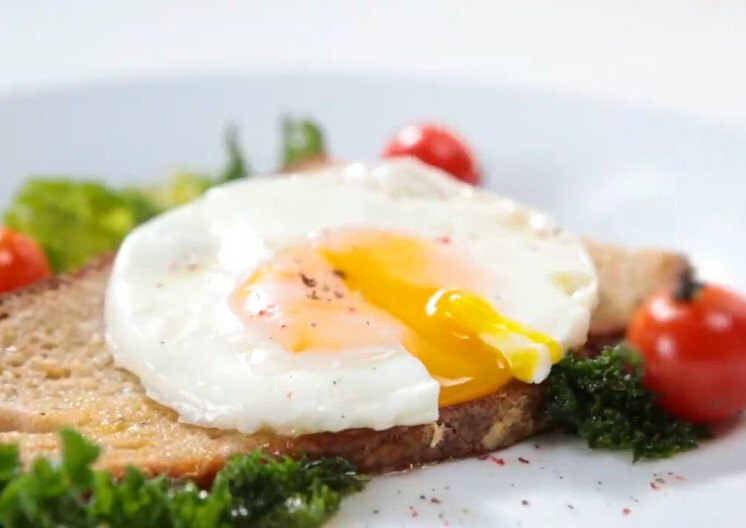 If you love fried eggs, you may want to give froach eggs a try as a healthier alternative. The Froach Pod comes in a pair. 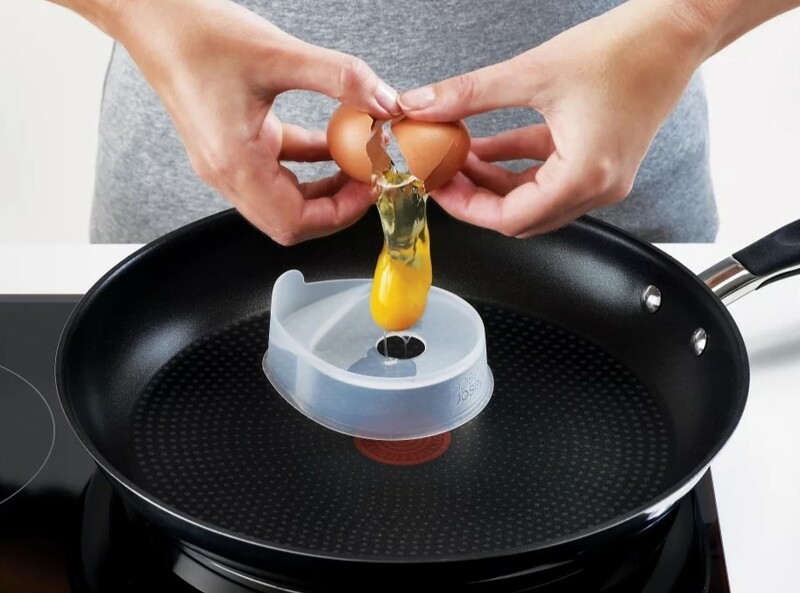 The Froach pod is a healthier way to cook eggs, combining the principles of both frying and poaching to create a delicious alternative to fried eggs.